North Korea: Today North Korea fired about 100 artillery shells off the east coast into the Sea of Japan. The spokesman for the South Korean Joint Chiefs of Staff (JCS) said, "North Korea fired off around 100 artillery shells in a northeast direction into the East Sea (Sea of Japan) from a place hundreds of meters away from the demilitarized zone (DMZ) in Kosong, Kangwon Province." "They landed in the sea, some 1 to 8 kilometers north of the Northern Limit Line (NLL)….Some of the shells travelled some 3 kilometers, and others the maximum of 50 kilometers," a JCS officer said. Thus, it is not clear which artillery system or what mix of systems the North tested. Comment: It is unusual for North Korea to conduct artillery practice off the east coast near the eastward extension of the Northern Limit Line. Artillery practice near the South Korean islands off the west coast is much more common. This appears to be artillery practice for units that get little of it. Afghanistan: Update. The government in Kabul replaced the police chief for Helmand Province in southern Afghanistan because of his failings in connection with the Taliban seizure of Sangin District. A large Taliban force held the district for a week, but reportedly has withdrawn. The Foreign Ministry sent notices to 40 countries that the ceremonies for inaugurating the new Afghan President will not take place on 2 August as announced in their invitations. Based on a new plan, the oath-taking ceremony will take place in late August, but the date has not been set. Comment: As noted previously, this is to be an audit of 8 million votes. That means that a new president cannot be known for quite some time. Late August seems optimistic. One term of the audit agreement is that the two candidates will form a national unity government after the audit is finished. Today's press indicates the two candidates have different views about the nature and composition of a national unity government. This is another potential break point. Meanwhile, Karzai will remain President. Thus far, he appears to be the main beneficiary of the agreement. 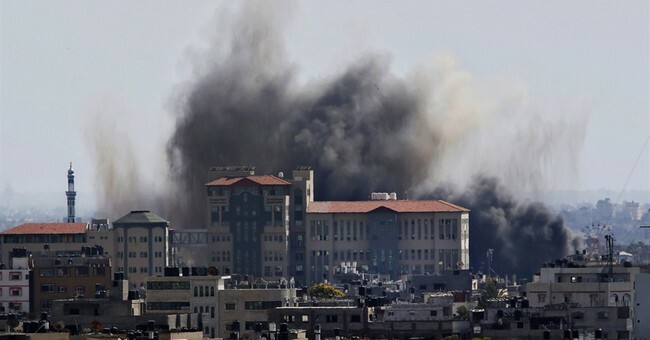 Israel: News services reported that Israeli and Hamas officials are considering seriously an Egyptian plan for a ceasefire at 09:00 local time on 15 July without conditions. The Voice of Israel reported that senior Israeli officials "confirm in principle" reports about an agreement on a cease-fire between Israel and HAMAS based on an Egyptian offer presented to both sides. After the ceasefire takes effect Egyptian authorities individually will hold a series of meetings with high-level delegations from Israel and the Palestinian factions within 48 hours from the start of implementing the initiative. The Israeli cabinet will meet on 15 July to discuss the Egyptian proposals. Comment: It is not clear what the Israelis are confirming in principle, but it is clear they do not want to appear to be the obstacle to a cessation of attacks. That is not the same as agreeing to a ceasefire or truce. The timing does not seem ripe for an end of firing just yet. The Israelis do not seem satisfied they have accomplished their goals, which include a significantdegradation of Hamas' ability to launch rockets. France-Salehian Africa: French Defense Minister Le Drian said on 12 July that Paris is merging its military forces across the Sahel-Sahara into a single operation aimed at combatting terrorism in the region. The new operation, codenamed Barkhane, will replace Operation Sangaris, which started on 11 January 2013 with the French intervention in Mali. The mission and forces involved, however, will largely remain the same. Le Drian announced in an interview with leading center-left daily Le Monde on 12 July that the new mission "will be established this summer." Le Drian explained that its "sole objective" will be "counterterrorism." Operation Barkhane will involve 3,000 French soldiers deployed across Mauritania, Mali, Burkina Faso, Niger, and Chad. It will be headquartered in Chad's capital N'Djamena. The number of troops in Mali will be reduced from 1,700 to 1,000. Mali. The French Chief of General Staff, General Pierre de Villiers, in an interview with Le Figaro published on 14 July, said that France had "achieved" its goals in Mali. De Villiers explained that Paris' new approach "is a regional one and includes an enlarged partnership with France's African partners." Noting that armed terrorist groups "exploit porous borders to cross them," the French armed forces chief said that the French military "will be establishing cross-border joint operations" with Burkina Faso, Mauritania, Niger, Mali, and Chad "to be more effective against terrorist groups in the region. According to Le Parisien, French President Francois Hollande will officially announce the new operation during an African trip that will take him from 15 July to Cote d'Ivoire, Niger and Chad. Comment: The French originally planned for this restructuring to be completed in May. It was postponed because of the clashes between the Malian Army and Touareg rebels. In essence, the departure from Mali represents a declaration of victory, rather than the establishment of durable security conditions in Mali. The reorganization itself is a shuffling of forces already deployed in Africa in a tiered and dispersed pattern that should enable faster responses before confrontations escalate into crises. The success of the scheme hinges critically on rapid mobility and the train of support capabilities that enable it. Neither are strong French capabilities without outside assistance. The scheme looks good on paper and sounds good on TV. That seems to be the point. About 6,000 French soldiers are stationed in Africa. About 3,000 of them are in Sahelian Africa. NightWatch Special Administrative Announcement. Changes are coming to NightWatch, because of increased publication expenses and because it is time. We are excited about the opportunity to review our product and to make improvements that will continue to add value for our Brilliant Readers. Since we are at a decision point, we judge it essential to ask our Readers about the publication and to invite you to provide your ideas and suggestions for improving it. We are preparing a brief survey which will be distributed as a special edition. Your responses will help shape the future of NightWatch. More to follow.